Hot Toys 1:6 Millennium Falcon Main Hold? 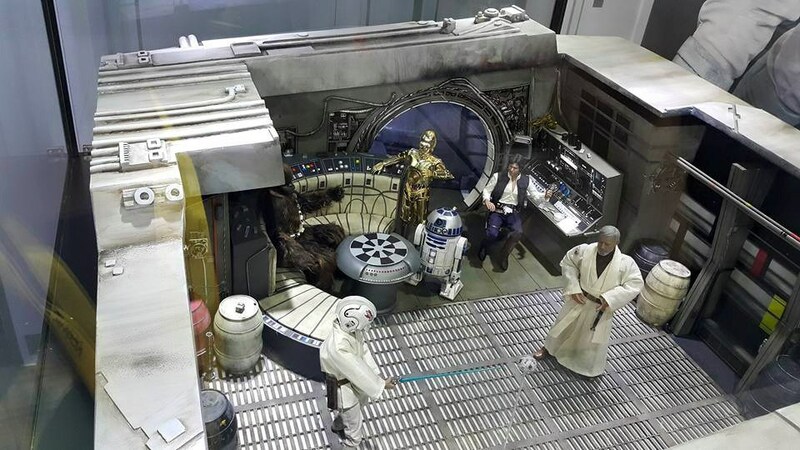 This diorama of the Millennium Falcon’s main hold has been seen at the Hong Kong Toy Fair next to their awesome 1:6 scale Millennium Falcon. There has been no announcement as to whether this will be made available to the public, but hopefully it’ll be another set similar to their cockpit. That thing’s got to be about four feet square so be prepared for some big shipping charges. No information yet regarding price or availability, but i’ll keep you posted. This entry was posted in Hot Toys, Things that i don't have yet... and tagged Millenium Falcon, Millennium Falcon, Star Wars. Bookmark the permalink.